Are you going for a business trip, study visit or a trip to the capital of Czechia for a few weeks or months? Live in a fully furnished home and avoid overpriced hotels and boarding houses. Choose the ideal rental in Prague 5 from anywhere in the world with Flatio. You can find rentals in Prague 5 easily on the Flatio map. After, with the help of virtual tours and photos, you just pick a suitable apartment and request reservation. Check out the newest rentals on Flatio. Thanks to us, no offer will slip by unnoticed and you can always look at them with the help of virtual tours and photos. Look at your own pace and from anywhere in the world where there’s an internet connection. After, you only need to make a reservation and wait 24 hours for the landlord’s con­firmation. What are the advantages of renting an apartment in Prague 5 with Flatio? You’ll only pay 19€ for reservation and a service fee calculated in proportion to the length of your stay in Prague. Offered apartments are fully furnished and equipped. 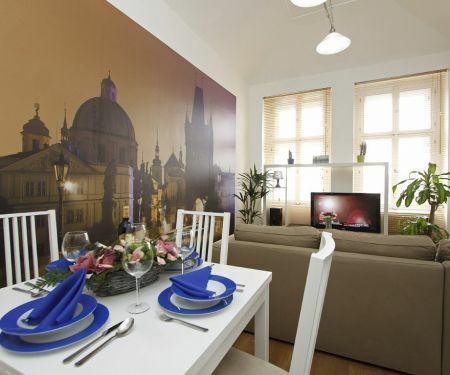 Do you want to live in Prague 5 when you stay in the capital of the Czech Republic so that you are only a few minutes away from the historical centre itself? 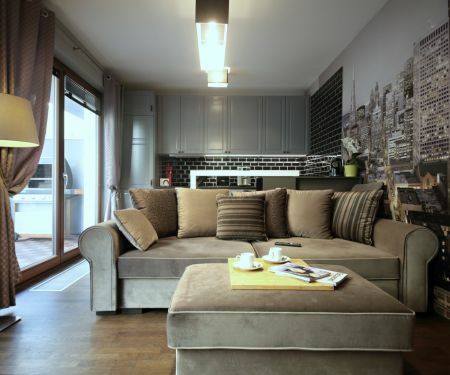 On Flatio, you can get short-term or mid-term rentals in Prague 5 just like that. No longer do you have to waste money on overpriced hotels or boarding houses; with us, you will save money. 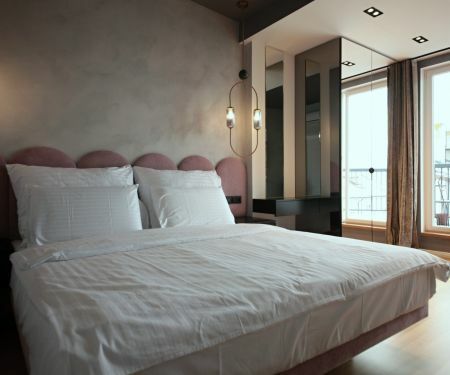 And what’s more, during your stay you’ll be living in a homely environment. The municipal district Prague 5 lies on land of about 27.49 km2 in size and, based on data from 2017, is inhabited by 85 276 people. Moreover, culture is plentiful here from the Church of saint Václav to the shopping centre of Nový Smíchov. Renting an apartment in Prague 5 is swift with Flatio. No later than in 24 hours after the reservation you’ll know if all went well. Do you no longer believe descriptions and photos of homes 100% because of past experiences? Do you prefer the real-life experiences of other people that you can check before a reservation of an apartment? We understand you and that’s why the previous tenants will help you find the best apartments in Prague 5, all on Flatio. Choose a rental in the capital of the Czech Republic for 14 days, a month or even a whole year based on ratings by previous tenants. This will make sure that no slow WiFi or loud neighbours will drive you to a nervous breakdown. If you want to avoid staying in expensive hotels or boarding houses whilst you’re in the capital of the Czech Republic, rentals on Flatio are the ideal solution for you. You can live in an apartment of your choice for 14 days, 4 weeks or even 12 months. 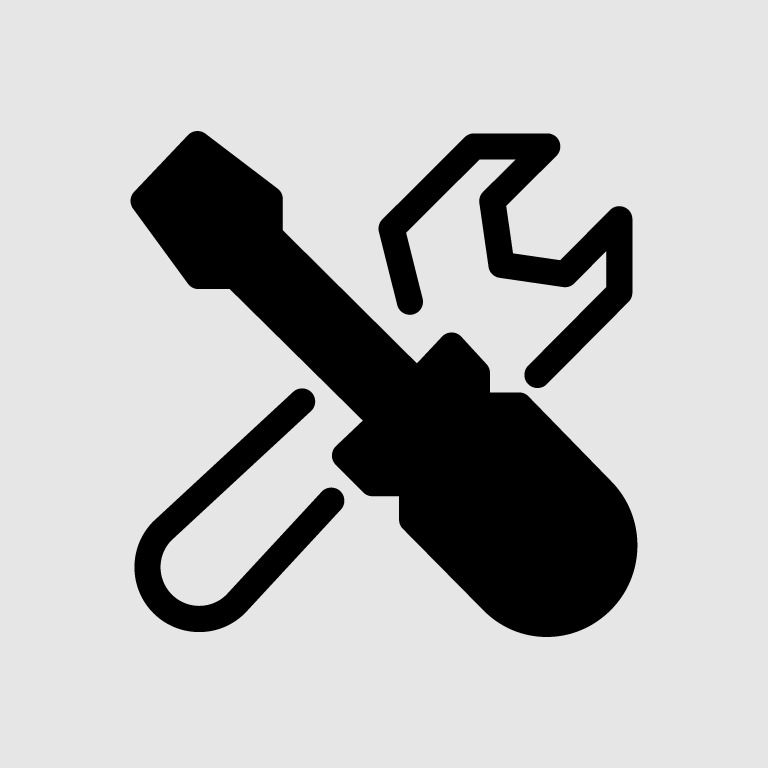 With us, it’ll be sorted in 24 hours without any need for a real estate agency or deposits. It’s simple, and you can do it from anywhere in the world where there’s an internet connection. When the landlord confirms your stay you only need to agree on sorting out the necessary paperwork and the handing over of the keys, then the moment you arrive you can begin your stay. That’s because all the offered rentals on Flatio are fully furnished and equipped. On Flatio, you can get a rental in Prague 5 without an estate agency or steep commissions that travel to estate agent’s pockets. Here you only pay 19€ for reservation and a service fee calculated based on the length of your stay. That’s it! 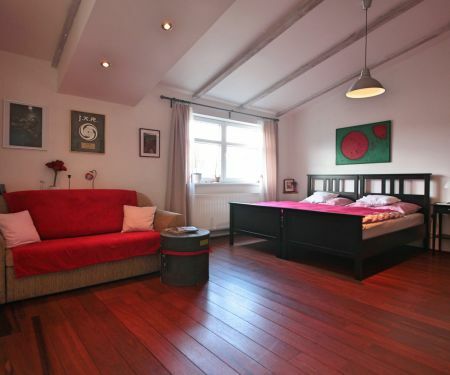 Short-term or mid-term rental in Prague 5 with no deposit isn’t just a child-like dream. With the Flatio team this dream will come true. You just need to choose the ideal home with the help of virtual tours and photographs and request its reservation. It’s cost effective and you can enjoy a homely environment.